Leave it to Pokemon fandom to demand the strangest combinations in order to satisfy their curiosity, but this latest petition at least tries to be interesting. 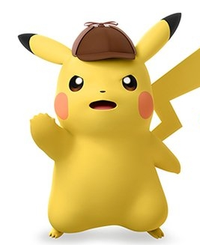 Following the release of the Detective Pikachu teaser trailer last week, Pokemon fans suddenly decided to circulate a petition to have actor Danny DeVito voice the character in a Western release of the game. Why Danny DeVito? Who knows, but it hasn't stopped fans from adding their names to the online petition which currently stands at over 37,000 signatures and still needs an additional 12,000 names to be formally submitted to Nintendo for consideration. It should be said that historically, Change.org petitions are about as effective as placing flyers on windshields in terms of attracting support, and a new fan made mashup embedded below overlaying the actor's voice and likeness over the teaser aims to convince more fans and curious people to add their names to the petition. After watching that mashup, you think Nintendo will listen to a loud minority of fandom, or will they ignore this latest petition, as they usually do?